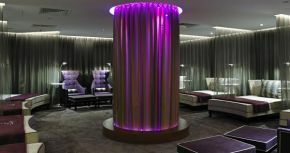 Suites Hotel & Spa is celebrating a trio of triumphs courtesy of a number of notable awards shortlists. Following a busy 12 months for the venue, which has recently undergone a £1.2 million refurbishment, The Spa @ Suites Hotel has once again been shortlisted in the prestigious Good Spa Guide Awards 2018 in the ‘Best Urban Spa’ category. As part of its campaign to scoop an award at the upcoming event, the spa is asking its visitors to cast their votes online to be in with the chance of winning an overnight spa package. Managing Director of Suites Hotel & Spa Lyndsay Stanistreet-Tyer said: “The Good Spa Guide Awards are driven by consumer votes, and we’re encouraging our guests and visitors who have enjoyed their time at Suites Hotel & Spa to get online and have their say on their ‘Best Urban Spa’. More locally, the hotel has also been named within two categories in the Merseyside Independent Business Awards and has been shortlisted as ‘Best Place to Stay’ and ‘Employer of the Year’. Suites Hotel & Spa has previously enjoyed success at the same awards, bringing back the crown for ‘Best Health & Beauty Business’ in 2017. Lyndsay added: “Receiving great news such as an awards shortlist is always a real accolade, however, to have been recognised in three separate categories across two awards is a testament to the hard-work that has gone on behind the scenes at the hotel during our recent refurbishment project.